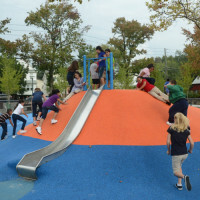 The 8.5 acre Schmul Park dates back to 1939 and bears the name of the family who donated a piece of its working farm to the city. 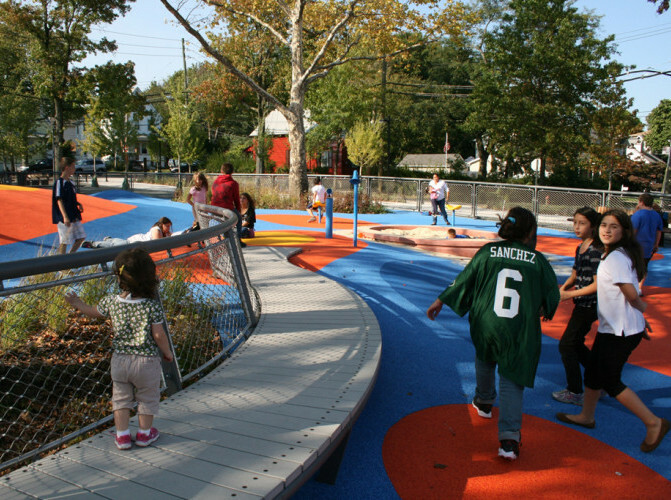 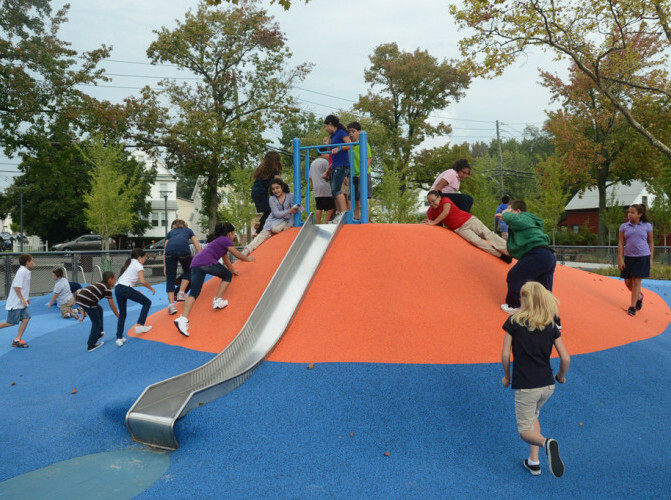 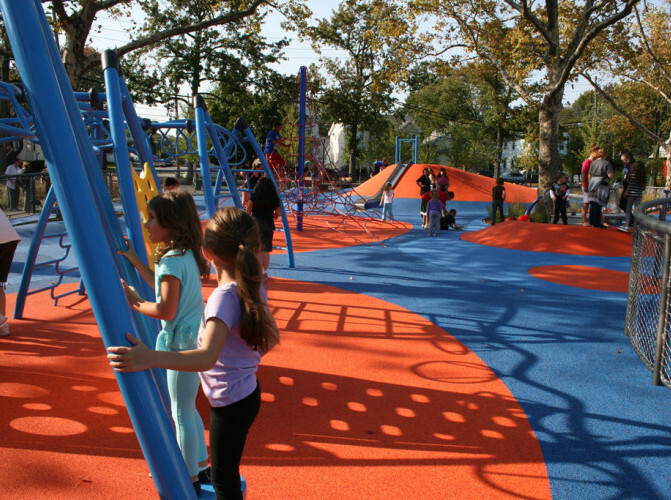 Previously a blacktop playground, Schmul Park was renovated and redesigned by James Corner Field Operations in 2012. 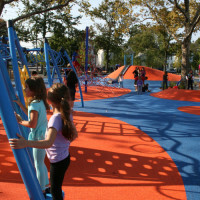 The asphalt was replaced with colorful rubber-clad play mounds, plantings, and other porous surfacing. 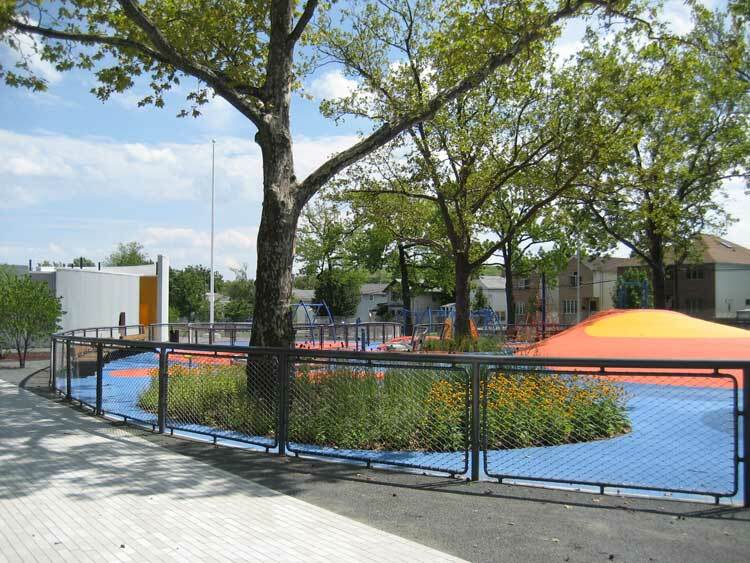 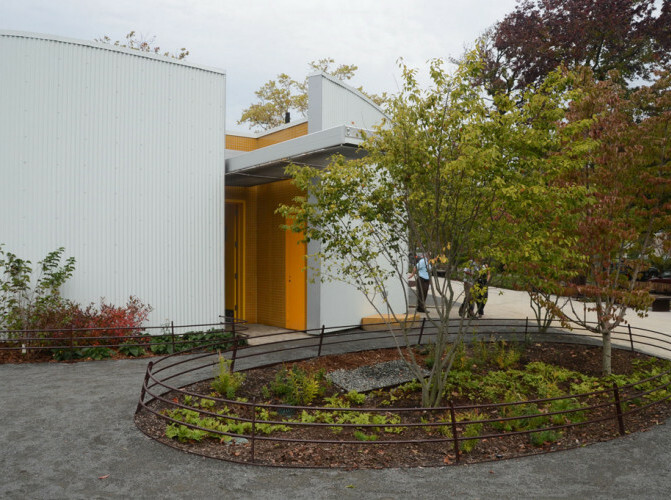 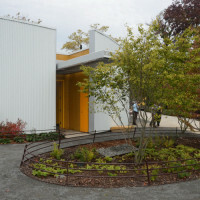 The park now features handball and basketball courts, as well as an ecologically sensitive comfort station designed by architecture firm BKSK. 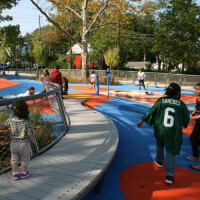 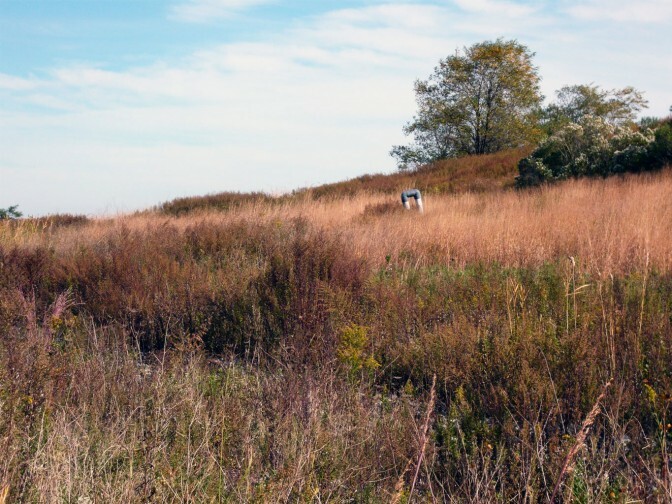 Schmul Park will also serve as a pedestrian entryway to North Park.